There’s been massive support for Japan and its people almost two weeks after the earthquake and tsunami. I’ve posted about different ways of helping here but have one more to add, especially if you love books and sff. 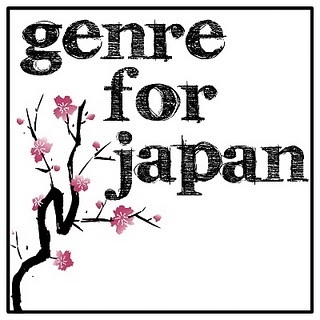 Genre for Japan is a wonderful fundraising project by a group of bloggers, editors and writers after Amanda put out a call on twitter to see if anything could be done for Japan. They have lined up some incredible and highly rare and collectible items donated by publishers, authors and bloggers for auction which begins on Monday 28th March. I’ve even spied some Neil Gaiman titles! So go and check out the site and participate! Also, do check out Meemalee’s Bags for Japan too. Thank you for the link to my bags! Hiya! All well? Just wondering if you’ve been following (the recently concluded) Haikasoru week of Japanese scifi, etc.? OMG, I cannot believe I missed it. Thanks for the link. I’ll be going back through the posts to catch up. I don’t normally read much Japanese sff except in manga form (as most manga and anime seem to have sff elements). I think Genre for Japan has one lot by Haikasoru though.